VICTORIA, BC--(Marketwired - December 21, 2015) - Incoming Victoria Real Estate Board President Wendy Moreton looks forward to another active year for the Victoria area's real estate market. "It may be hard to compete with 2015's activity; it was a very busy year for sales in our area," recalls Moreton. "The strong demand that kicked in early in 2015 took many by surprise and that demand outpaced supply in popular areas throughout the year." 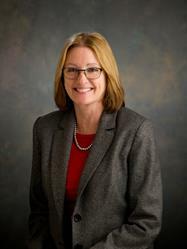 Ms. Moreton has called Victoria home for more than twenty years, and she has worked in local real estate since 1999. "One of the best things about the greater Victoria area -- and one of the biggest surprises to many moving here from elsewhere -- is the huge variety of property available. Victoria offers everything from urban micro lofts to rural estates and everything in between. All local properties include our wonderful climate and year-round outdoor activities that make us the envy of the rest of the country." "I'm not surprised that more people are discovering what we have to offer here, and like my fellow REALTORS® I truly love helping locals and those coming here from elsewhere with their real estate needs. It will be interesting to see what this year holds for our market," adds Moreton. 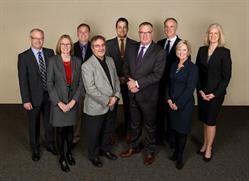 The Victoria Real Estate Board serves its more than 1,200 members and the public. The Board is led by a skilled team of volunteer Directors who also work in the industry as licensed Realtors. Working at the board table this year is President Wendy Moreton, President-Elect Mike Nugent, Secretary-Treasurer Andrew Plank, Past President Guy Crozier, Sandi-Jo Ayers, Ara Balabanian, Kyle Kerr, Tony Wick and Cheryl Woolley. The Board's area includes Greater Victoria from Sooke to Sidney, up-island as far as Cherry Point Road in Cobble Hill and the Gulf Islands.